SkinCeuticals “Science in a Bottle” is designed to promote effective and easy skin care. Its three core ingredients are designed to prevent, correct and protect your skin from damage against UV Rays, while helping to preserve your skin from future damage. 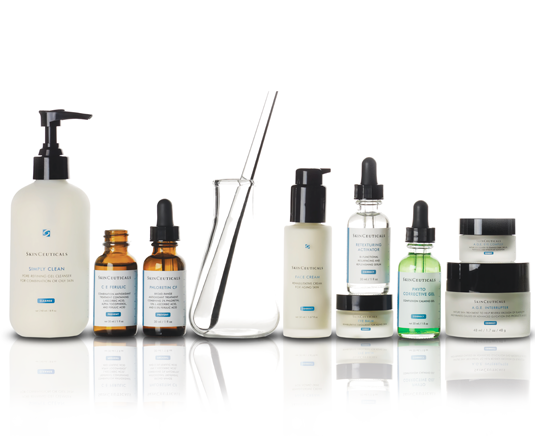 SkinCeuticals uses high quality ingredients that are scientifically and selectively chosen for their effectiveness. It prevents future skin damage, protects healthy skin, and corrects previous damage; SkinCeuticals is committed to creating advanced skincare products that are backed by science. At the crux of their commitment to helping people who need better skin care products, SkinCeuticals has devoted many years of research and science to deliver a premier skincare collection. Its brand represents an advanced skincare formula that surpasses the expectations and standards currently established in the skin care industry. This was done as a result of a remarkable discovery of unique antioxidants that have proven to benefit people in the prolonging of the aging process. 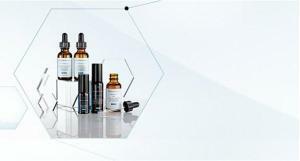 These products have put SkinCeuticals on the market as a pioneer of generational-skipping skin products that are literally changing the face of skincare and how it is perceived by consumers. With the specific formulation of topical antioxidants, studied have revealed protection underneath the skin from free radicals which are known to have harmful effects. This internal protection works in conjunction with an ability to correct or reduce the visible signs of aging, such as the effects of hyperpigmentation or collagen synthesis. SkinCeuticals unique formula results in a comprehensive and powerful ability to improve or reverse the natural effects of aging. Learn about antioxidants and the beneficial compounds of active molecules below. What are antioxidants? 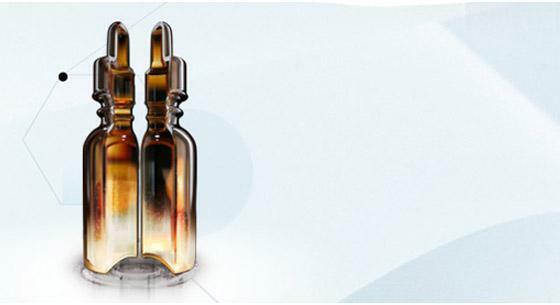 In a nutshell, they are molecules which prevent the oxidation of more molecules from accruing. Hence, oxidation is a damaging effect that happens after the molecules lose electrons. There are 5 different forms of antioxidants that are naturally found in a person’s body. 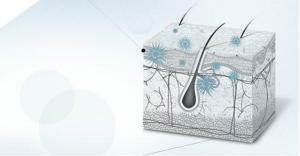 These prevent cellular damage. Working together harmoniously, antioxidants use different mechanisms to either neutralize or inhibit damage. From this list of 5 antioxidants, only vitamins E and C are proven to work internally within the skin. Several plant antioxidants are also known to function in this manner. When not working with electrons, free radicals are molecules that can be volatile and chemically reactive. These molecules are generally unstable and caused by the sun’s rays, pollution, lifestyle choices (like smoking tobacco or drinking alcoholic beverages), or through infrared radiation. Underneath your skin, those free radicals can damage DNA, cells, and prevent new skin cell growth. This leads to accelerated aging of the skin which is where the wrinkles, skin discoloration, fine lines, and loss of elasticity comes from. Some people also develop melanoma or spots, which can turn into a dangerous form of skin cancer. Although sunscreen is essential to protect the skin’s surface from harmful UVB and UVA damage, the sunscreen only offers approximately 55% of coverage against free radicals. Therefore, topical antioxidants help to neutralize, protect and prevent damage from the sun. Using topical sunscreens and antioxidants as part of a daily skincare routine is the best way to ensure maximum protection from free radicals and UV damage. The face of skincare changed in 1997, when the innovators of SkinCeuticals created two serums; Serum 10 and Serum 15. These were the first alleviated, topical antioxidants made of pure L-ascorbic acid. Founding scientist, Dr. Sheldon Pinnell first conducted studies about the formulation of antioxidants. Upon discovery of these components, he created what is now called the “Duke Antioxidant” patent. SkinCeuticals is the first of its kind to design a formula with antioxidants based upon these findings. In order to be effective, a topical Vitamin E and Vitamin C antioxidant must seep deep within the skin. There are three factors which determine this: The amount of pH in the formula, as well as the concentration and form of Vitamin C or E that is used. Since the patent was first developed, each generation of antioxidants have undergone stringent clinical studies. 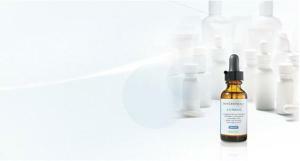 The results are obvious, that SkinCeuticals topical antioxidants work the best to effectively neutralize free radicals. Environmental factors, such as UV rays and other forms of solar radiation cannot penetrate, while the synchronization of collagen offers outstanding external correction.